We love seafood, all kinds of seafood… clams, mussels, crabs, salmon… all of it! We are so lucky to have an abundant amount at our finger tips. Our Oregon coast has loads of seafood! 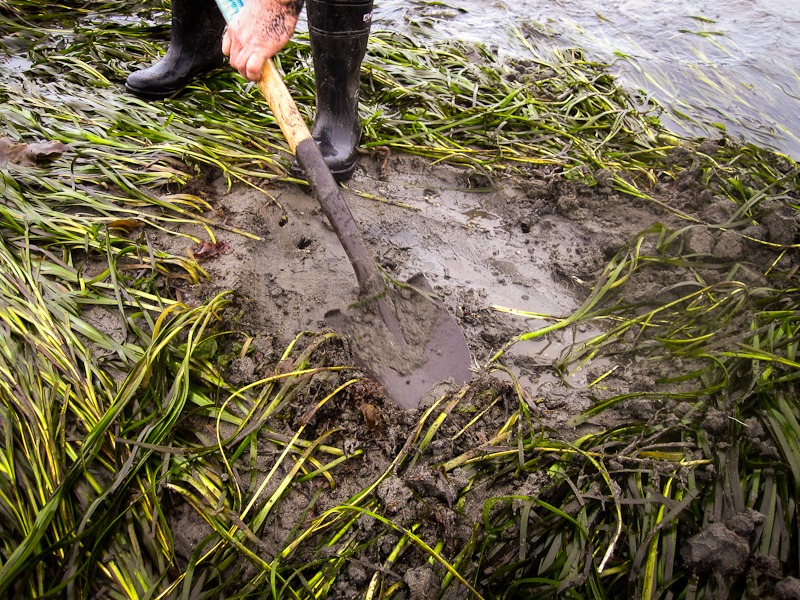 You can rent a little boat and drop crab pots right out in the bay, or dig your way thru the sand for clams, or drop your fishing pole for some salmon! 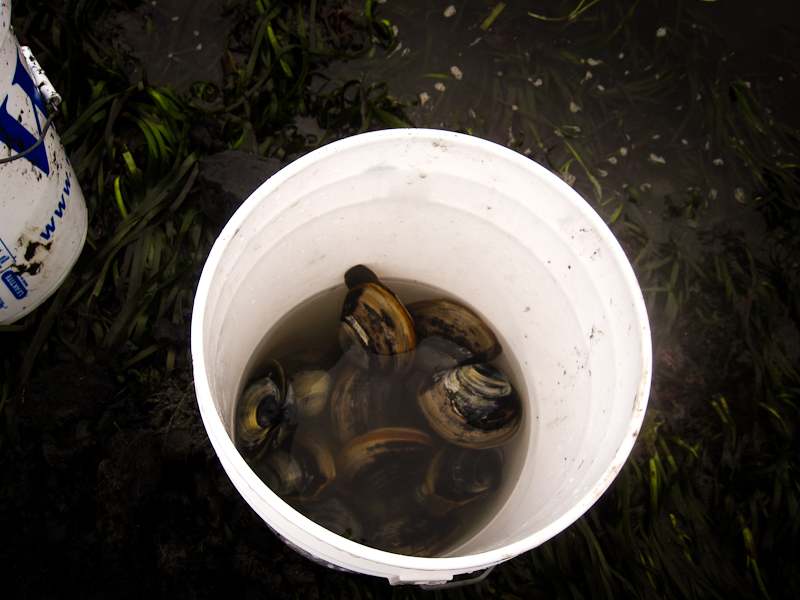 We set out to Newport last weekend for a clamming adventure. All you need is a licence (very important, they do check all the time! ), some rubber boots, your own bucket ( yes, each person must have their own bucket), a shovel, a small rake, and a clam gun! 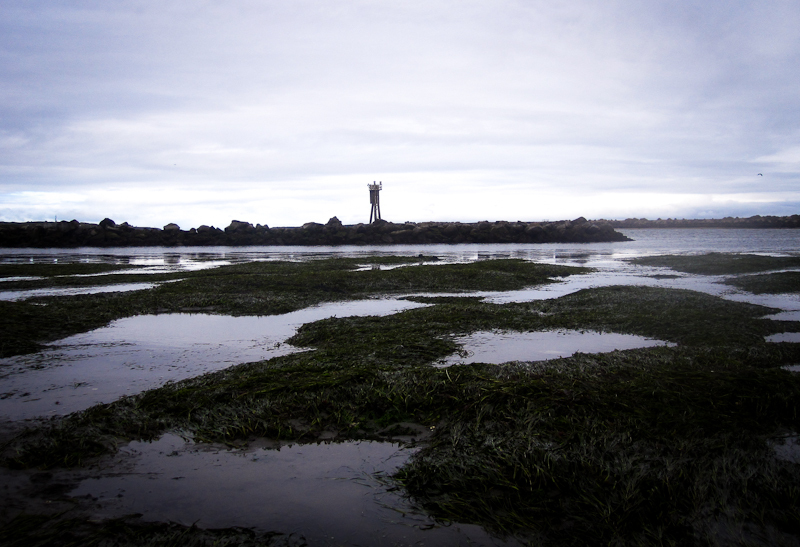 Check the tide table before you leave, you want a negative tide (low tide). A short drive and we were there! Newport is about an hour and a half from Portland, not far at all. 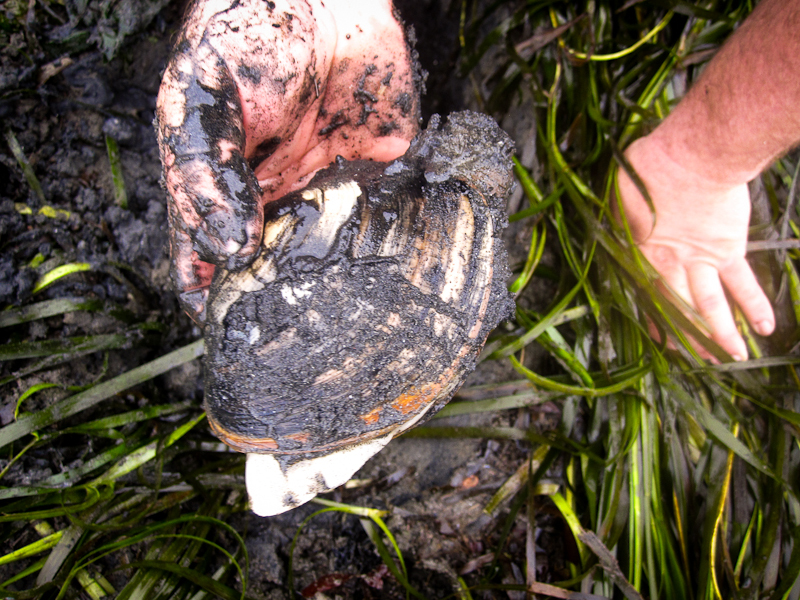 This was my 2nd time clamming, but the first time we did not find nothing! We were the only people out there, I think we may have been in the wrong area of the bay. Not this time…. 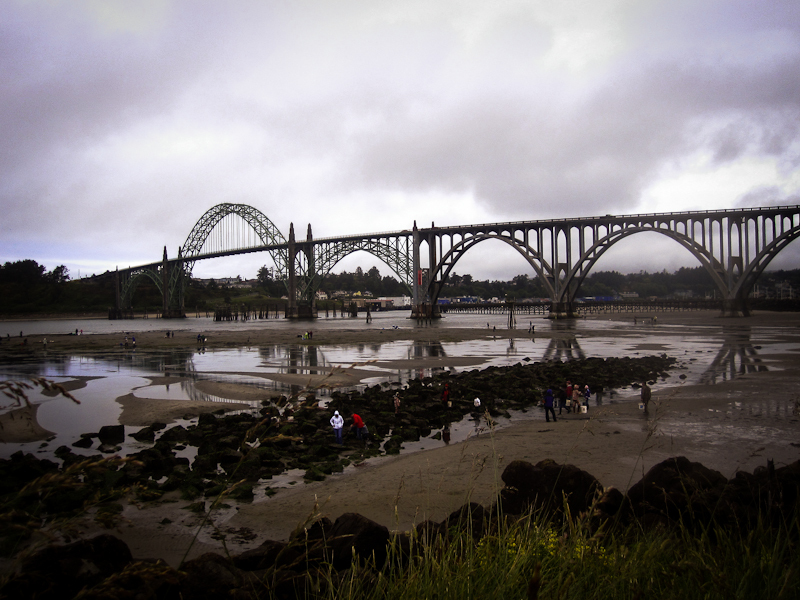 as we drove over the Yaquina Bay bridge in Newport, there were hundreds of people already out there, you wouldn’t know it was 7 am on a Sunday morning! Oh the excitement was building, like a kid waiting for Christmas morning! 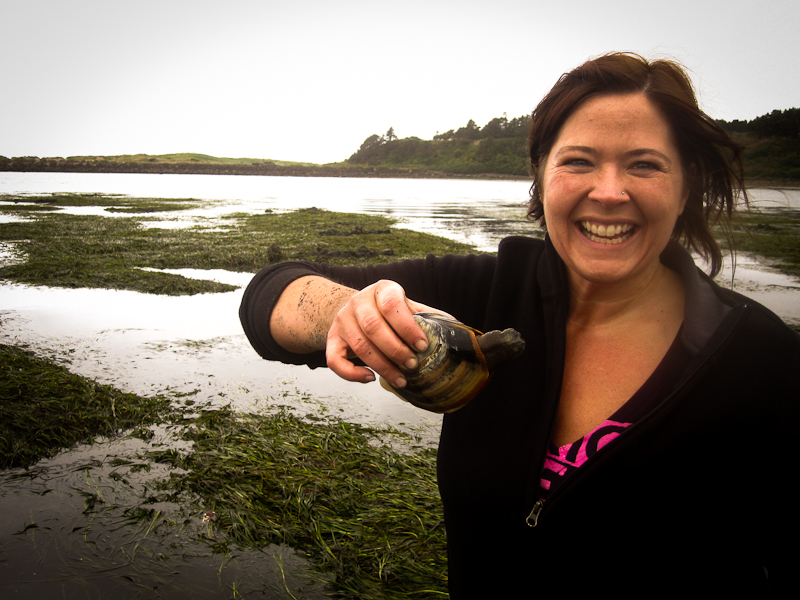 I was so excited to try this clamming thing….again! We walked out towards the water line, making our way thru the sea of clammers. 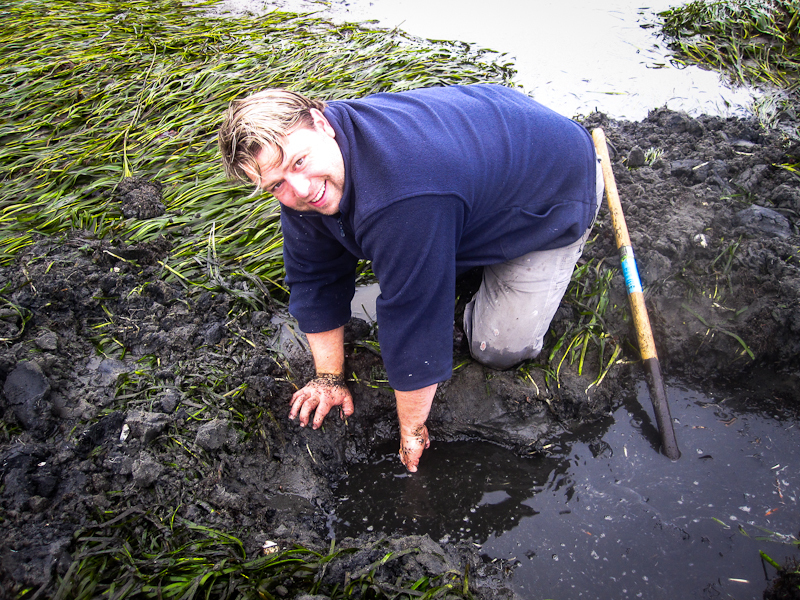 There’s not really a trick to digging for these, but a few tips I will share that I learned that day-look for small holes in the sand, “breather holes” for the clams. The bigger the hole, the bigger the clam! 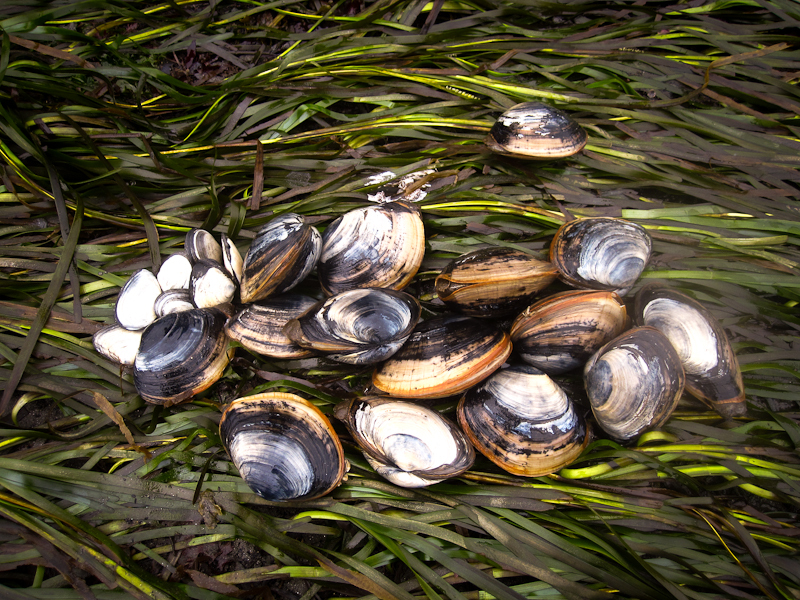 The first ones we found were hidden under a bed of seaweed. As we raked it back, water came jetting out of the hole like a big sprinkler! Yep, the clams were down there…it’s funny to watch, if you’re not careful, you will get wet! With your shovel, carefully dig a big hole, I say carefully or you might hit the clam and crack it’s shell. Once you are close, get down on your knees, and finish digging with your hands. Yes, it’s time to get dirty! Grasp the clam and slowly wiggle it back and forth to loosen it from the sand. Then pull it out, and put it in your bucket with some ocean water! We had our limit in an hour! Make sure you read the limits, because they will check and you can get a ticket! I heard it’s something like $50 for every extra clam over your limit…ouch! That would be one expensive clamming trip! We had a blast, so much fun, that I can’t wait to do it again…and what did we do with all those clams? Clam chowder of course! I will post that recipe soon…..
Tiffany, you made me sooooo jeallous – you did something I always wanted to do but never got a chance. How lovely to play in that mud :) :) :) – did this not take you back to your childhood? You really look so happy in the photograph, yes, as you said, like a child at christmas.